The first part of the RuneScape Gold 3 Beta Programme has opened today. Selected beta participants and all Gold and Silver Premier Club members can now log into the live game with an early build of the new HTML5 client. If you didn’t get in yet, don’t worry. We’ll be expanding our group of testers over the coming weeks, and you’ll be informed if selected. We’ll soon be sending out invites for the alpha test of the new interface system, too. Don’t forget: all members will have the chance to try out the HTML5 client and new interface system before RS3 goes live this summer. Download and install the latest version of Google Chrome. This is currently the only supported browser. Download and install the latest drivers for your graphics card from the manufacturer’s website. It’s important to note that this is an early beta. The client is not yet optimised and will have visible bugs and graphic glitches. Your frames per second and general client performance may well be lower than with current live client. This will improve as the beta goes on, as our technical teams focus on optimising the client and getting it ready for full launch. As the beta progresses, you’ll enjoy faster load times and smoother performance, so please bear with us. Thanks for your help in getting this exciting new technology ready for everyone! To help everyone get up and running first time, we’ve defaulted everyone’s graphical options to the minimal settings, which will make things look similar to the current live client. If you find the HTML5 client is performing well, we encourage you to increase your settings in the options menu.RS 2007 Gold. How does the world look? Explore Gielinor, taking advantage of the increased draw distances to take in the view. How do the graphical settings affect your experience? Try the various settings available for reflections, bloom, draw distance and shadows. Find out what works best on your hardware, and let us know so we can optimise the client accordingly. We hope you enjoy trying out these new features before launch, and we can’t wait to see what you think. 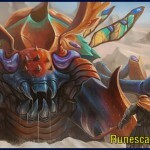 Log in now, and help us to make the RuneScape that you want to see! The RuneScape Team. 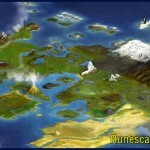 For more information on the RuneScape 3 Beta Programme, visit the wiki. Posted in other. Tagged Runescape Gold. 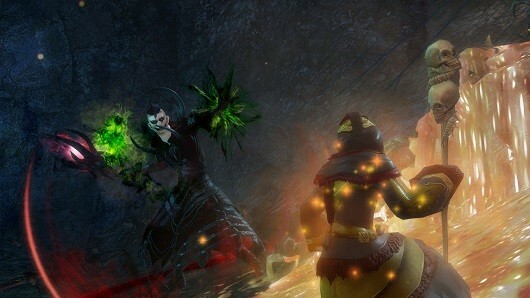 Guild Wars 2 Halloween themed update , blood and madness, will be launched on October 15 , the National Security Bureau announced today . This update will introduce new features and with Halloween -themed bonus, you can get a sneak peek at 15:00 on October 14 in a Guild Wars 2 is a livestream convulsions. Players can also participate in some new events : trick or treating crazy realm doors, explore the maze of mad king , the king of crazy puzzle bell tower and PVP play madman investigation . Posted in GW2 Guides, GW2 Skill Guide, other, Reviews. Tagged Runescape Gold.